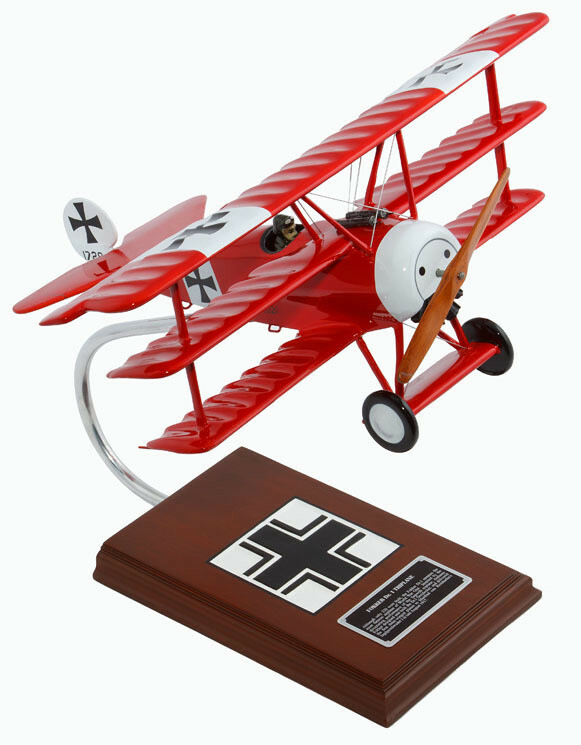 For the man who appreciates history, this Fokker Dr I model plane is one collectible he’ll be proud to own. Beautifully hand-made by artisans, this aviation memorabilia is meticulously carved from fine-grade wood. Each stroke from the master carver’s chisel reveals the fine points of the triplane. From the smooth rounded corners to the engraved surfaces on the wings, each detail lends a touch of realism to this beautifully hand-painted airplane sculpture. No shortcuts here—just pure, uncompromising craftsmanship. Distinctively elegant with its wooden base and engraved plaque, this model collectible is perfect for both home and office.